Longtime Director Ron Gunter recently retired from the Westmont Park District after four decades of service to the community. Gunter, who became Mayor of Westmont in 2013, will serve as a transition advisor with the Park District while he continues his position as Mayor of Westmont. Now with his retirement underway, Gunter plans to be even more involved in the community with his role as Mayor. Gunter recently became a grandfather for the third time and he plans to be very active in the lives of his grandchildren. 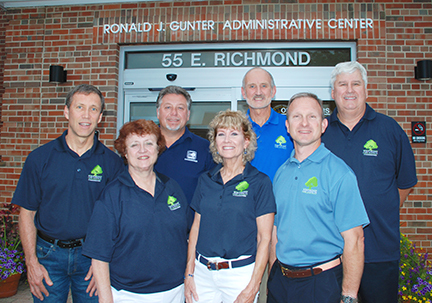 To honor Gunter for all of his accomplishments, the Westmont Park District dedicated its main facility in his honor as Ronald J. Gunter Administrative Center. The Village of Westmont thanks Ron for his 40 years of dedication to the community and wishes him a long and happy retirement.